It’s almost six years to the day that I first embarked on one of my solo holidays. I deliberately chose somewhere far away (Thailand) so I wouldn’t be able to chicken out and fly home ahead of time. I found the first few days really challenging (read about that here) but once I found my groove I couldn’t wait to go back again. And I did, a few months later. Since then I’ve found a couple of places I love – Bodrum in Turkey and Dahab in Egypt – and visited them over and over again because I feel so comfortable there. This year, though, I felt like trying somewhere new, not least because I can’t currently fly to Dahab (flights aren’t currently going to Sharm-el-Sheikh from the UK) and Bodrum has been at the centre of the refugee crisis in the last year or so. I didn’t feel right to go there for pleasure. 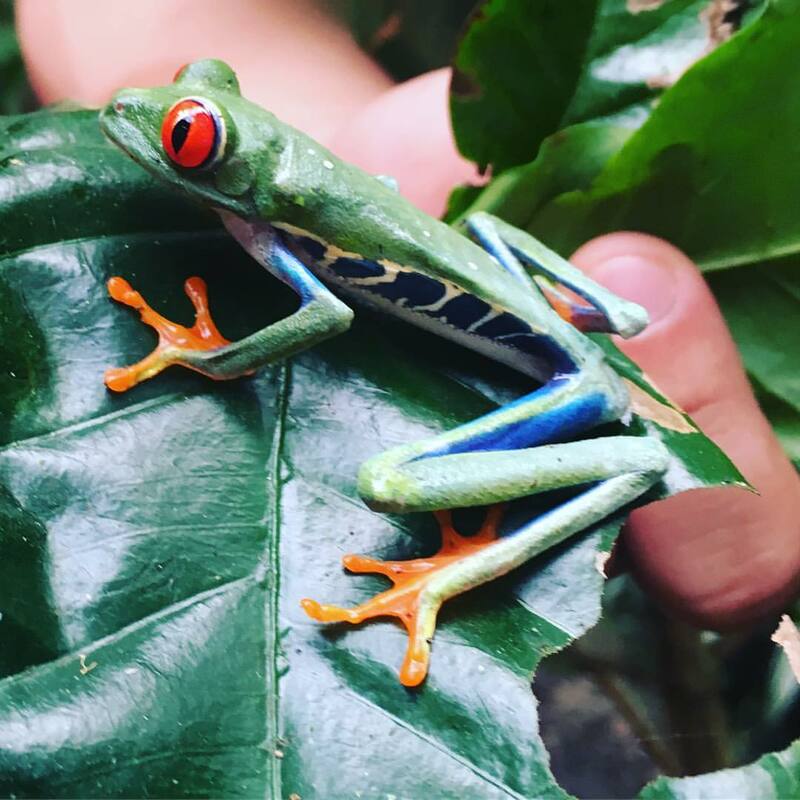 Costa Rica has recently loomed onto the UK holiday horizon, partly because of the reintroduction of direct flights there from tour operators like Thomson (they started last November). 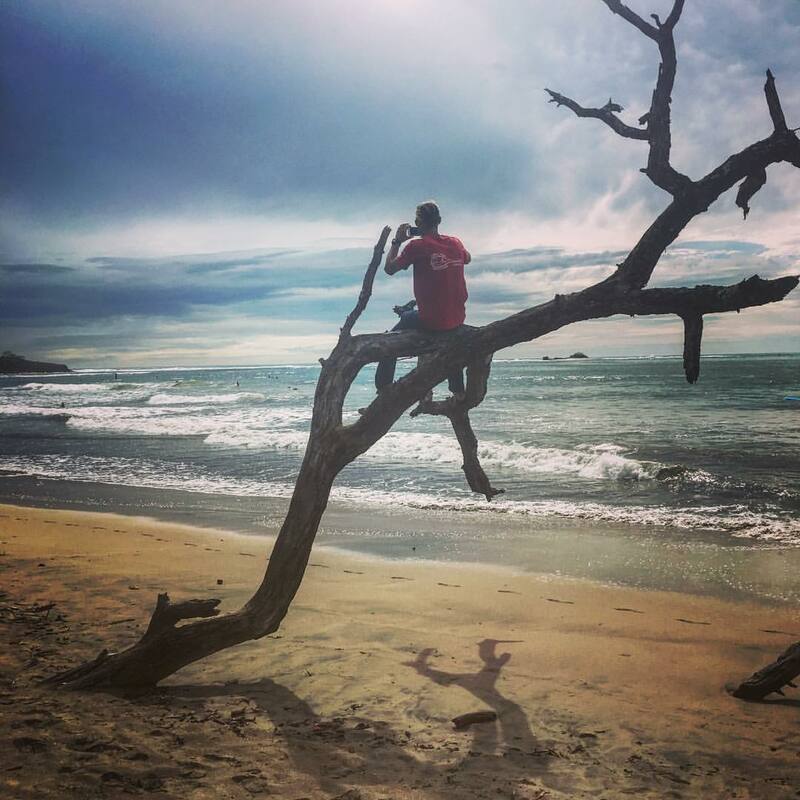 I’d seen a friend’s holiday pictures over Christmas and thought it looked like the perfect destination for me – beautiful beaches, lush forests, interesting flora and fauna. I booked it before I could think about it too much. 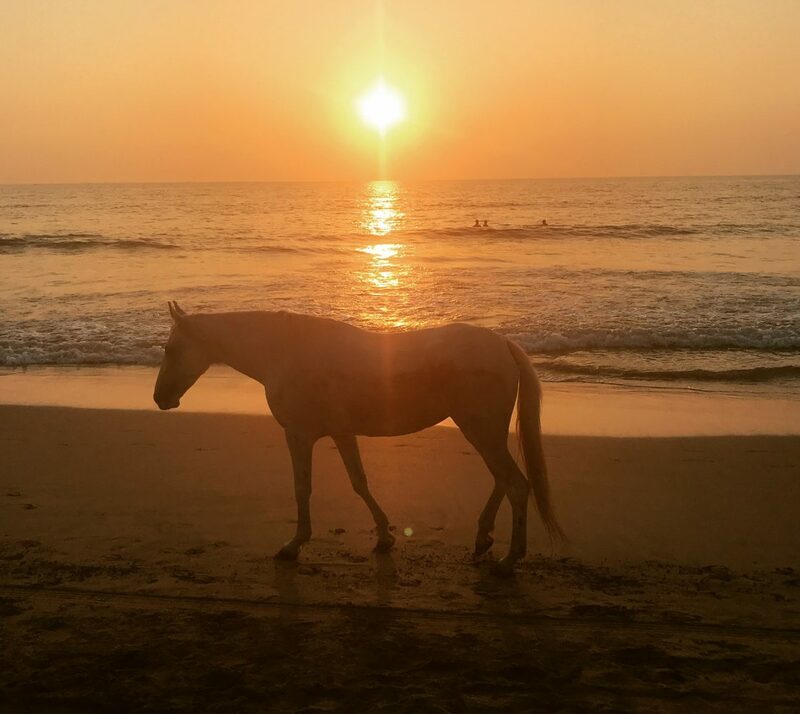 My destination was Tamarindo, a surf town in the north west on the Pacific coast. At this time of year, the rainy season, the Pacific side is the driest, and July gives a short respite in the rains, that the locals call ‘Little Summer’. It rains a bit, but not nearly as much as it does between May and November in other months. 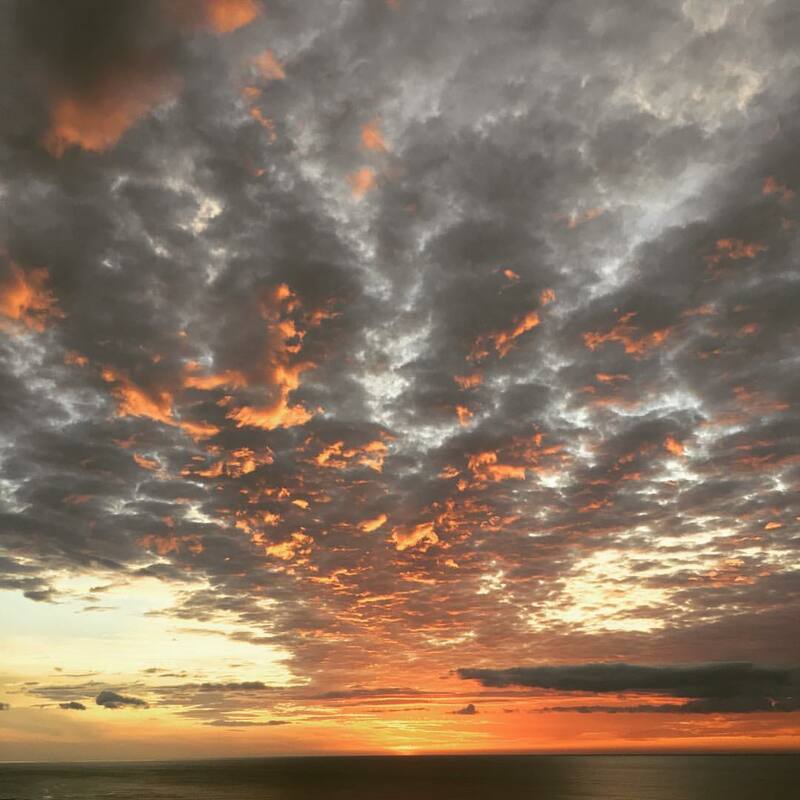 What the rainy season does give you is a daily spectacular sunset, and Tamarindo is famous for it. Nary a day goes by without one lighting the curious cloud formations in a unique, glorious way. Towards the end of my holiday I decided to take a ‘sunset cruise’ that hilariously turned into a ‘storm cruise’ with a dash back to the shore and being told to run for it across the beach because someone had been killed by lightning the week before. During my two-week trip, the lightning strike happened, plus a guy got his leg chewed off by a croc in Tamarindo estuary (he was walking where he shouldn’t) and a volcano erupted. Costa Rica is certainly ‘lively’ when it comes to natural-world news. Tamarindo is happily also famous for its party atmosphere. One of the things I need when I’m away on my own is access to lively nightlife. I’ve found I can lose myself in local bars and clubs, whereas it’s more difficult in a quiet restaurant. I need lots of people around at night, and Tamarindo (or Tamagringo, as the locals refer to it) doesn’t disappoint. As the guides suggest, it has something of a ‘spring break’ feel about it, with a range of bars catering to the American surf crowd. I preferred the local ‘Tico’ places – like Pacifico, where you can’t stand still for five seconds without someone whizzing you round the dance floor to the latest salsa hit. And then there’s the Crazy Monkey Bar, where everyone heads on a Friday night, split between a Gringo and a Tico dancefloor. Guess which one I headed to? Yep – Tico every time. Much more fun, and more relaxed. Beware the free shots given to ladies though – Guaro chilli shots are pretty lethal. I’ve realised that what I really like is a hotel base, near to a lively town, but just out of the way enough to get away. The Esplendor Tamarindo is perched on the hill above the town and has spectacular views of the sunset from a swim-up bar. Howler monkeys fight for territory in the trees around the infinity pool and the tree-lined hills behind the hotel are filled with birdsong all day. Every room faces the ocean so it’s a place where no one feels disgruntled with their room choice. The hotel/town situation reminded me very much of my first solo experience in Thailand. There, I was staying in an extremely romantic hotel, upgraded to a seaview, but I had access to a nearby party town that was only two minutes away. I could leave behind the romantic couples looking at the sunset and head into town for fun. I laughed when I realised the similarity, but not so much when I realised how daunting it is going to a completely new continent so far away, on your own. I’d forgotten, in the years of repeat visits to Bodrum and Dahab, that it’s fairly stressful not knowing how things work. I quickly realised what was going to happen – it would take me several days, or even a week, to get into the swing of things, and then I’d want to book a repeat visit so I could go back and do it properly. And that is exactly what did happen. Luckily for me, I had a bit of a false start to the holiday, meeting a guy on his own in the hotel. He had found out lots of local information via an American guy who had retired there, and it gave me an instant solo-holiday boost. He was also great to hang out with, and we ended up touring the local bars one night, in what appeared to be a live Bacardi advert. We packed it all in – karaoke, salsa, house music – it was one of those nights. When he left a few days later I came crashing down with the realisation that I was on my own and I’d have to make my own fun. I really did wallow for a bit and it brought back those first wretched days in Thailand. But I did what I did back then, and booked some trips to shake off the gloom. And then I met Nolberto the tour guide. 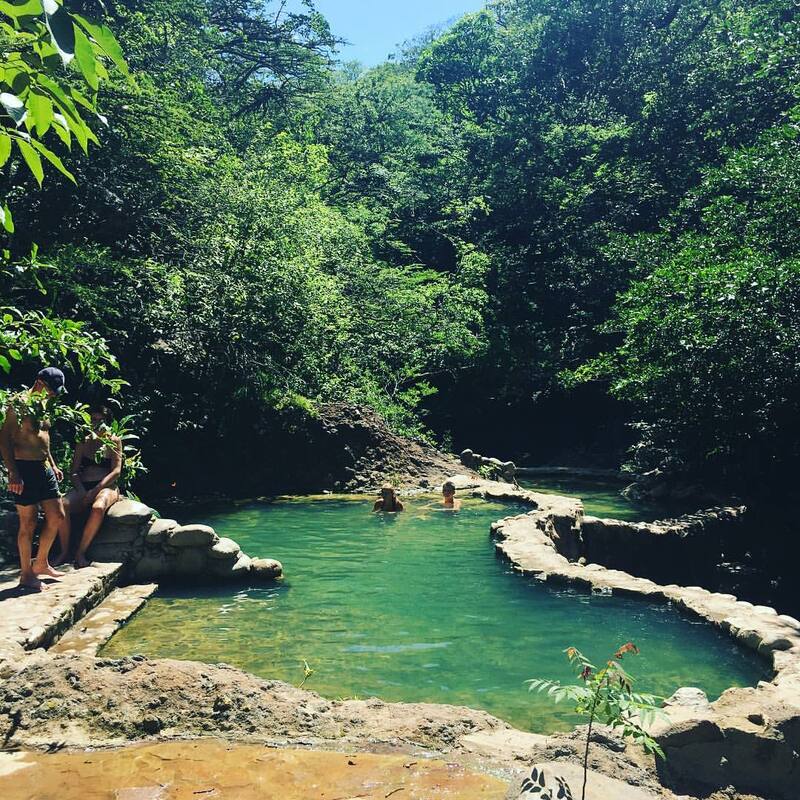 My first trip was a guided group hike to Rincon De La Vieja – one of the four active volcanoes. Nolberto, like many of the Tico guides I came across, was well drilled in the history, culture and politics of his country. There is no army, he told us proudly. The money is spent instead on health and education, and education is compulsory for 7-12 year olds. He told us that the first mile or so of the hiking track into the forest is paved so that people in wheelchairs could enjoy the experience. I realised why people want to live in Costa so much. 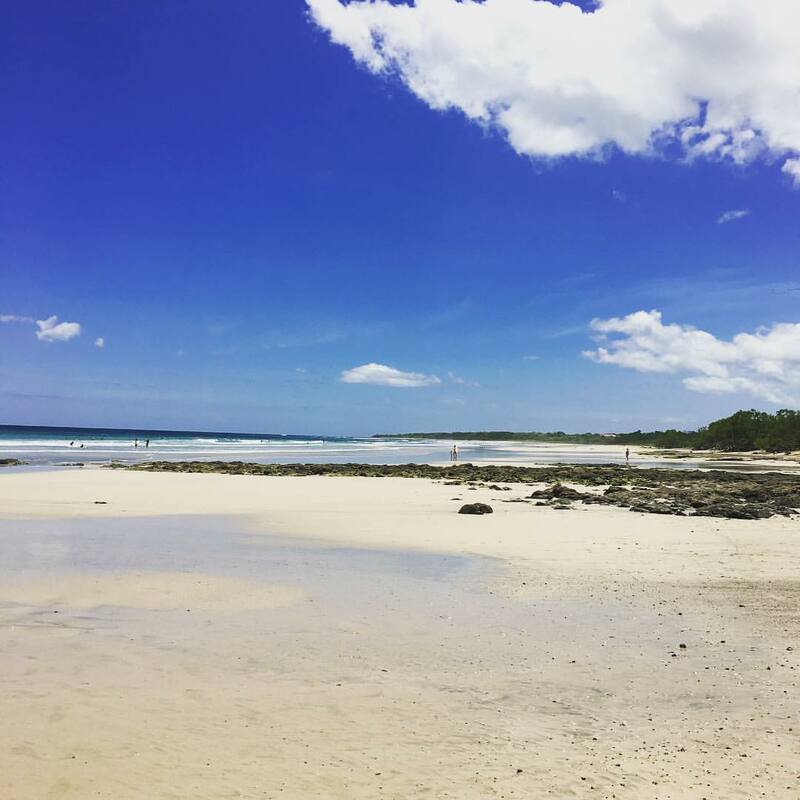 Everything is focused on a better quality of life – ‘pura vida’ – the pure life statement that punctuates pretty much everything a Tico says. During a post-hike visit to some hot springs, an American woman asked me what I thought about Brexit. They all did, every time I met one. And all but one was hugely sympathetic to the 48% Remain voters and worried about the threat posed to the US by Donald Trump. Hillary just HAS to get in, said one. I said it might be a good idea to prepare for the worst, just in case. So many of us in the UK had been caught out by complacency and it would be wise to go there in your head before it happened. Mostly I get scowled at by women in couples on these sorts of holidays. They appear to think I pose some sort of threat, and their partners pick up on it and are invariably too scared to talk to me. A few times I got approached by women who were genuinely interested in what I was doing on my solo holiday and were comfortable enough in their marriages to include me in their family group. I really appreciated it. Thanks, ladies. Anyway, back to Nolberto. He’d given me his card on the trip and as he’s freelance, I thought I’d book him to go on my next trip to Monteverde. (Book him by email here: Eltwintours@hotmail.com). I’d tried booking a group trip in town, but they seemed to run only when they could amass enough people and I didn’t want to wait and miss out. On the spectacular drive there (it’s a cloud forest in the mountains), Nolberto had a habit of shouting, “Vámonos!” every time he overtook a slow vehicle (which was a lot). I started shouting it as well, and it made us laugh so much. He was great fun. I realised how great it was to have a private guide on that day. It happened to be Guanacaste Day – the day that people in the north-western region I was in celebrate their annexation from Nicaragua. And boy, do they celebrate it. On the way back from Monteverde we stopped at Bar Y La Griega near Santa Cruz and they had a cimarrona band playing. It was a group of high-school boys standing outside the bar in the dark playing a frenzied mariachi-style music (which is usually accompanied by dancing puppets). One of things I’d never have witnessed if I’d been on a group tour. Nolberto also tracked down sloths for me – I couldn’t visit the country and not see at least one. We travelled back to the volcano region to Finca Verde Lodge in Bijagua, which turned out to be a little gem of a place with hardly any visitors. We saw three small slots nestled high up in the cecropia trees they love so much and were told that they only come down about twice a week for toilet purposes. Amazingly, one popped down while I was having my lunch and Nolberto passed it over to me to hold. It is simply one of the most beautiful moments of my life. It felt like a hairy baby, this 8-month-old three-toed sloth, that naturally curls its arms around you for a cuddle. He was stoned, of course, from the cecropia leaves, but his smile came from being a three-toed sloth. They all have them. And quite frankly, I don’t blame them. Nolberto also encouraged me to zipline whilst at Selvatura Park in Monteverde. I was really scared but I knew I’d regret it if I didn’t do it. It comprises 12 ‘flights’ across 18 platforms and once I’d (literally) got into the swing of it, I was dying to do it again. I had to be ‘accompanied’ across a few flights by random guys – you had to do some of them in pairs. Thanks to the three guys who gallantly placed their legs around my waist without even knowing my name. As with Thailand, I’m now feeling an overwhelming urge to return to CR. I wish I’d spent way more time in the mountains and done a lot more hiking. I wish I’d spent more time partying in the evenings and not so much going to bed early. I wish I’d spent more time with the locals. I wish I’d gone one step further on my first attempt at snorkelling in the sea but panicking in a life vest was as far as I got, and that was a lifetime achievement (I can’t swim). I suppose it’s like that old adage about leaving the dinner table still wanting more.